﻿ Art/West - Ohio. Find It Here. 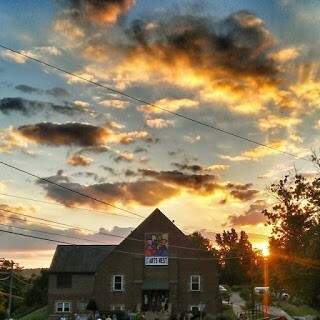 Athens Community Gateway to the Arts is a performing arts facility serving more than 21,000 community members annually with workshops, classes, concerts, exhibitions, and meetings in its performance space and four conference rooms. The mission of ARTS/West is to make facilities, resources, and opportunities available to artists, community children, and area residents. As a performing arts facility, ARTS/West harnesses community focus for individuals and groups engaged in the creation, performance and exhibition of the arts. It also promotes activities preserving the beauty, heritage and regional flavor of Athens.Each year ARTS/West provides space and administrative assistance for events and exhibitions by six theater companies, two music education groups, an arts education group, visual artists, musicians, a new play festival, a community art festival, and an ever-growing list of other programs and partner organizations. There's always something new going on at ARTS/West!